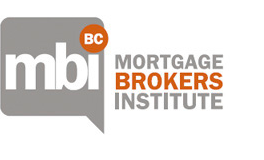 The Canadian Mortgage Brokers Association – British Columbia (CMBA-BC) represents the province’s mortgage industry. It exists to support and enhance professionalism and ethical standards within the mortgage industry. Incorporated in 1990, the Association is not-for-profit, and is based in Vancouver. CMBA-BC offers educational and networking events designed to enhance professional development and relationship building within the industry and among clientele. The Association is governed by an elected Board of Directors, is managed by a CEO, and is supported by a Member Services Team.